Brian Williams is getting his own half-hour time slot on MSNBC between Labor Day and Election Day, a network executive confirmed Tuesday. Williams will anchor a special 11 p.m. program summing up the day's campaign news. CNNMoney first reported on the plan for the program on Monday night. It had been under consideration for weeks inside MSNBC. Williams won't quite be in "late night" -- competing directly with the likes of Jimmy Fallon and Stephen Colbert, who come on at 11:35 p.m. -- but he will wrap up the day for MSNBC. By giving the program a two-month time span, signaling that it will end after Nov. 8, MSNBC is giving Williams an anchoring opportunity while limiting the potential downsides. 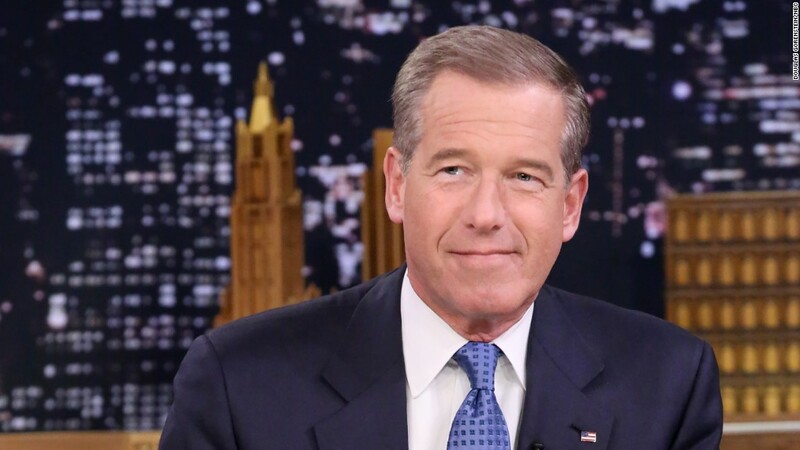 With a nightly program, even a temporary one, Williams is coming full circle at MSNBC. He anchored a prime time newscast at MSNBC when the channel launched in 1996. Later he rose to the top of the NBC News hierarchy, anchoring the "NBC Nightly News" for a decade. But he was removed from the "Nightly News" chair last year amid a controversy over exaggerated stories. After a six-month suspension, he returned to MSNBC last September as the channel's chief breaking news anchor, appearing during the daytime to cover developing stories and special events. Williams has not had a regularly scheduled time slot up until now, so the 11 p.m. program will be a significant milestone. MSNBC and Fox News typically repeat their 8 p.m. programs at 11 p.m. Eastern. CNN sometimes has reruns too, but frequently airs a live hour of "CNN Tonight." This month MSNBC has been trying out some live programming in the 11 p.m. hour, foreshadowing the post-Labor Day plan. Lately the channel has been edging closer to CNN on a total day basis in the key demographic of adults 25 to 54. During prime time, between 8 and 11 p.m., the two channels have been locked in a night-to-night race, with MSNBC winning most evenings since the conventions. Fox News out-rates both channels.